Rock Sins Video Of The Year 2017 – Cradle Of Filth, Wednesday 13, Courage My Love and 9 More Battle It Out! Over the course of 2017, we had over twenty winners of our video of the week feature, ranging from small UK bands to huge international stars. 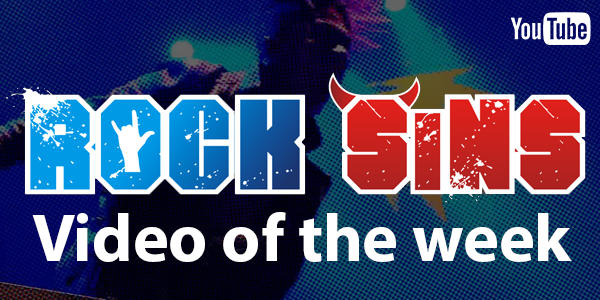 We’ve picked twelve of our favourite winners to do battle once again to see who will be crowned Rock Sins Video Of The Year! From our first winners of 2017, Youth Killed It, through Japanese genre blending metallers Esprit D’Air all the way through to Helpless’s ear drum destroying offering, all of our winners offered something different. Where else will you find a music video contest involving both puppets (Huxtable), the undead (Wednesday 13) and a very special dinner party (Disposable). Babymetal were the first Rock Sins Video Of The Year at the start of 2017, so lets find out who is going to join them this time. The vote will close at 12pm midday UK time on Friday the 12th of January. The twelve participants and their videos are all listed below, followed by your voting options. So enjoy some videos, and choose your favourites. There can be only one winner! In the unlikely event of a draw, any videos with level scores will go into a sudden death runoff against each other. Happy voting!